Hi guys, remember me? This week has been jam packed with fun activities which means I have a lot of fun things to tell you and no time to share it. (Catch-22!) 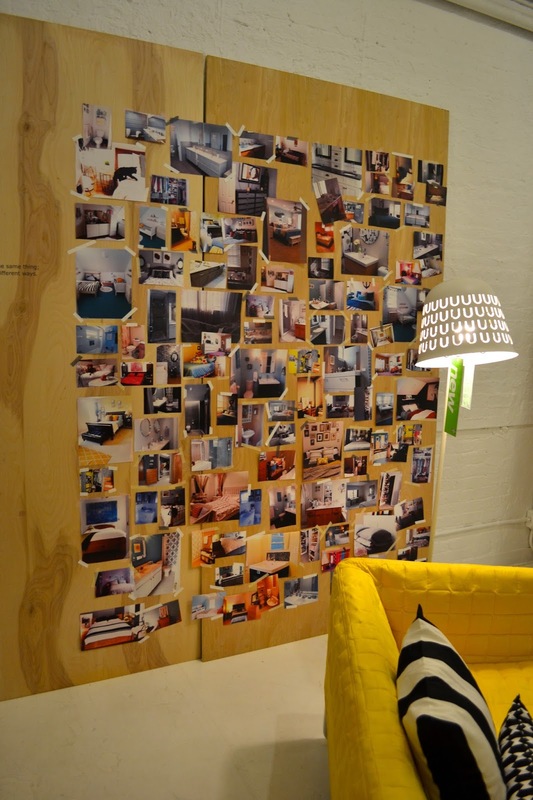 First things first, I want to fill you in on a fun event I went to last night: the NYC launch party for Ikea's 2015 catalog!I have been an Ikea fan for as long as I can remember, so I was tickled pink when I got an email from their marketing team asking me to attend a pajama party celebrating their new catalog last night. I had been drooling over sneak peaks of their new PS line, so this seemed liked the perfect opportunity to see some of the goodies in person. 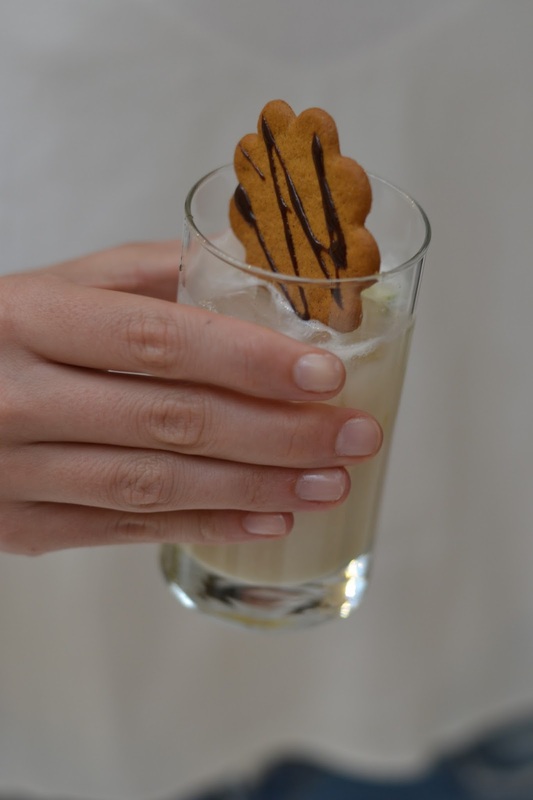 Adorably, they served cocktails made with almond milk and cookies—perfect for a chic slumber party. And they had professional stylists braiding our hair. My tangled tresses have never looked so cool. 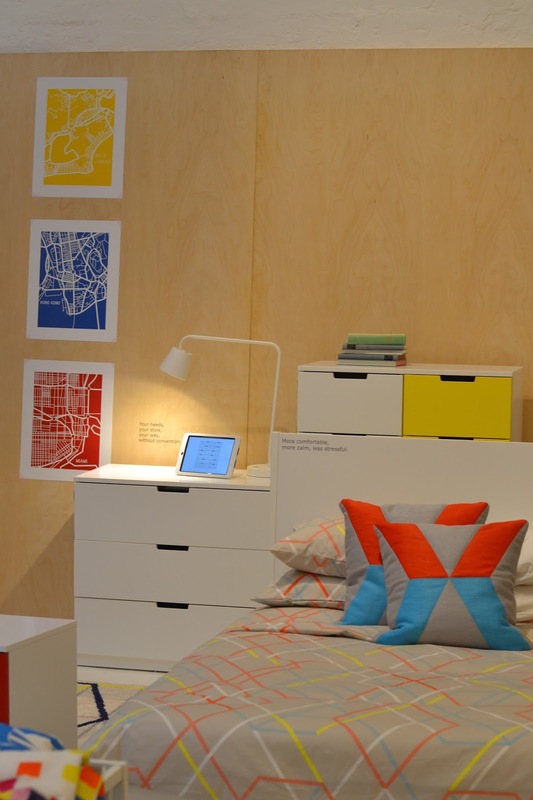 In keeping with the slumber party theme, the pop up space had been styled with various bedroom, closet, and vanity displays from Ikea's new catalog. 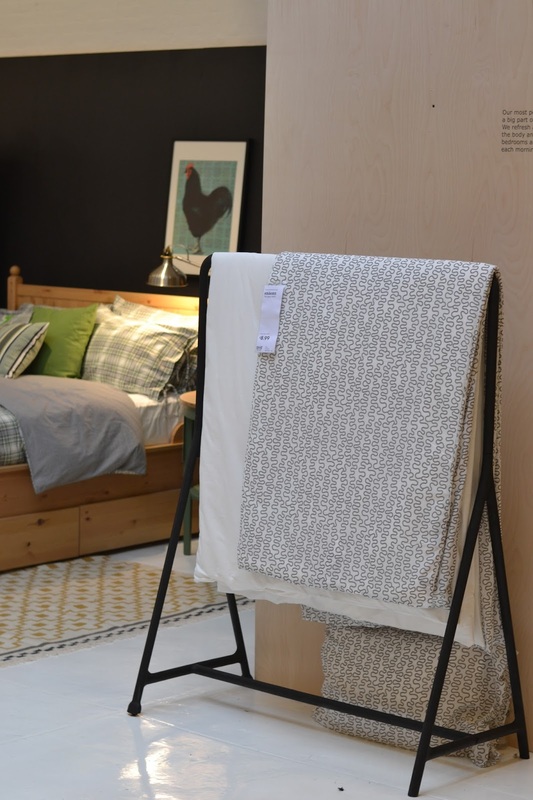 I really like the new stand alone pieces they were offering: cozy chairs, blanket racks, and adjustable wardrobe bars. 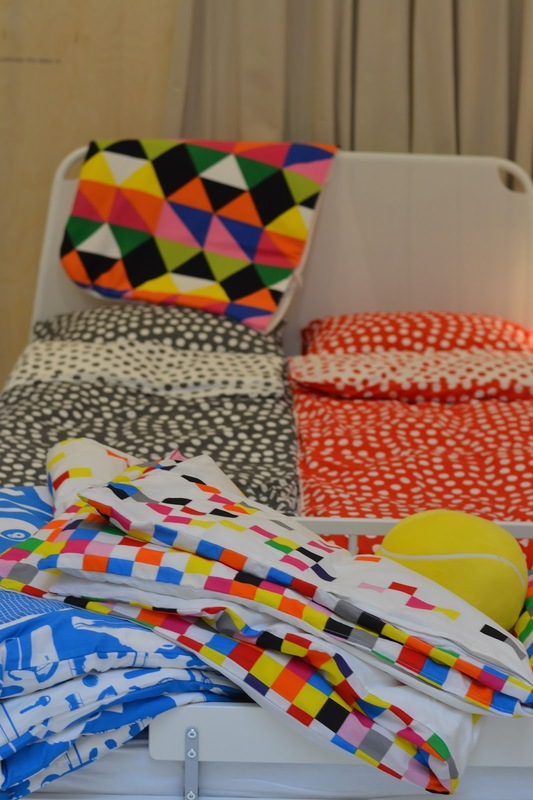 Of course my favorite was the colorful new textiles they are offering; Ikea fabric has been incredible recently! 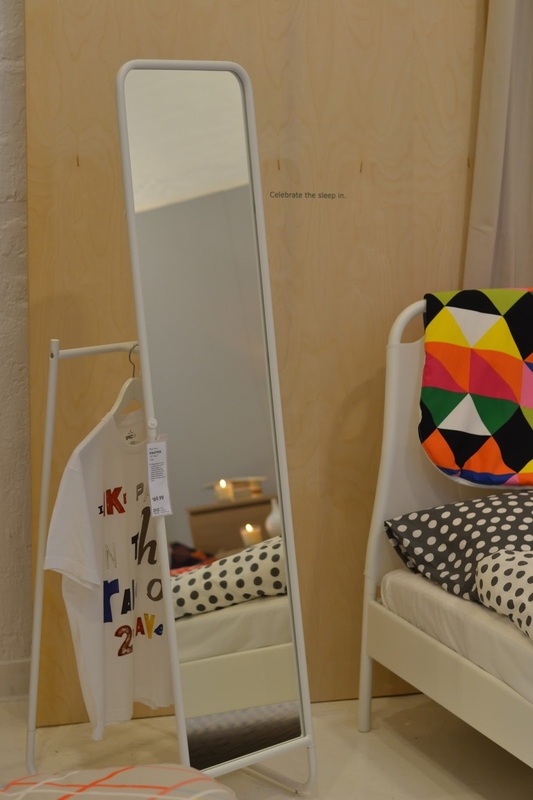 How cute are those orange striped pillowcases and that colored checkered duvet cover? Plus that white standing mirror is fabulous, right? One of the most inspirational parts of the party was the way it was styled. 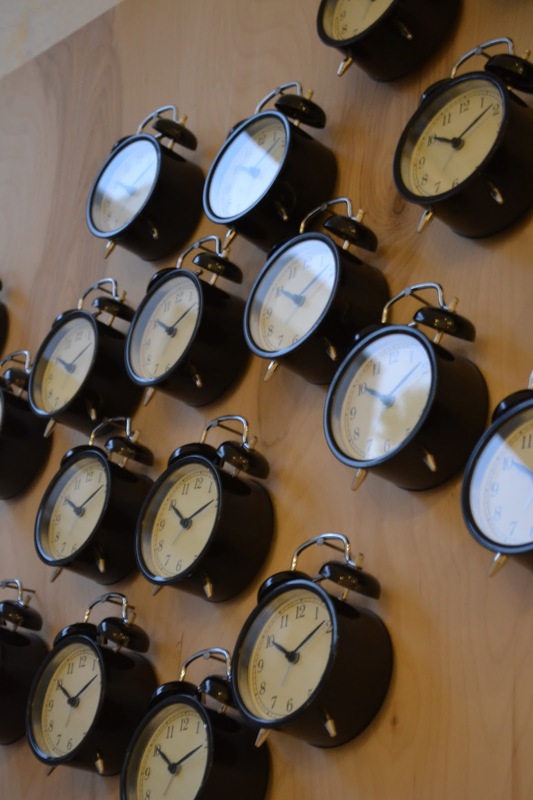 I loved the groupings of products on large planks of wood; how cool does that photo wall or this group of clocks look?Anyway, I had a great time at the event (thanks Amanda for being my date!). In case you want to see more, check out my Instagram feed here and my Pinterest page here. This post was not sponsored by Ikea or anyone; I just had a blast at the party and wanted to share!